Home » World » Middle East » Israel Bombs Syria!! 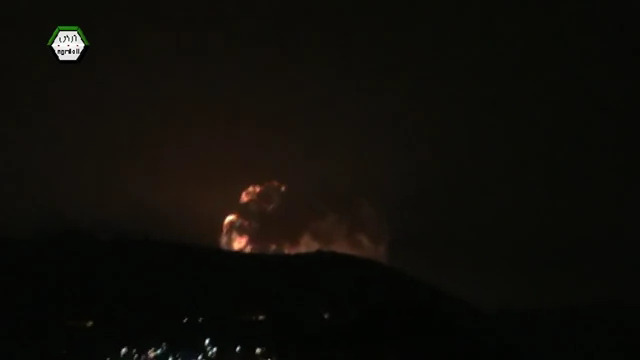 A subsequent video posted on the Internet by activists showed further multiple explosions lighting up the skies over Damascus, suggesting that some form of arms storage facility may have been hit. Syria’s Foreign Ministry said Sunday that Israel had intervened on behalf of the rebels. “The Israeli attack on military sites in Syria is proof that there is communication between Israel and the terrorist groups who take their orders from al-Qaeda,” the ministry said in a statement published on Syrian state television. The network said the Syrian Cabinet would convene an emergency meeting to discuss the attack. The attack Sunday came hours after U.S., Israeli and Lebanese officials said Israeli warplanes on Friday had struck a shipment of missiles destined for Lebanon’s Hezbollah movement at Damascus International Airport. Previous: Miley Cyrus is HOTTEST – No.1 in Maxim!